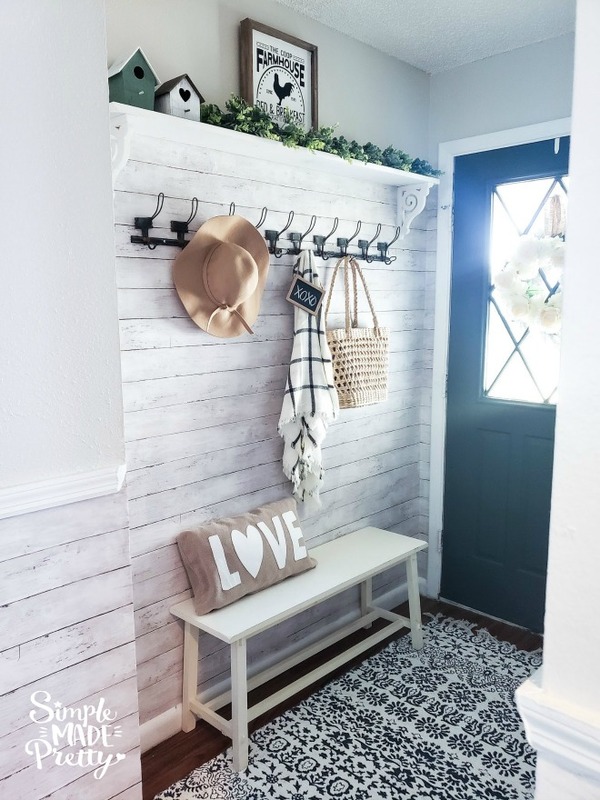 If you are looking for inspiration to update a small entryway, you will love this post with How To Decorate A Small Entryway with Bench and Hooks! 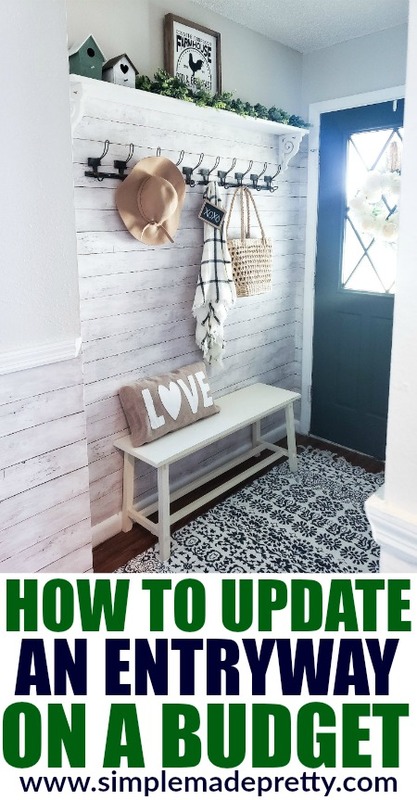 See how we updated our small entryway on a budget and check out the before and after pictures. All sources are listed below! 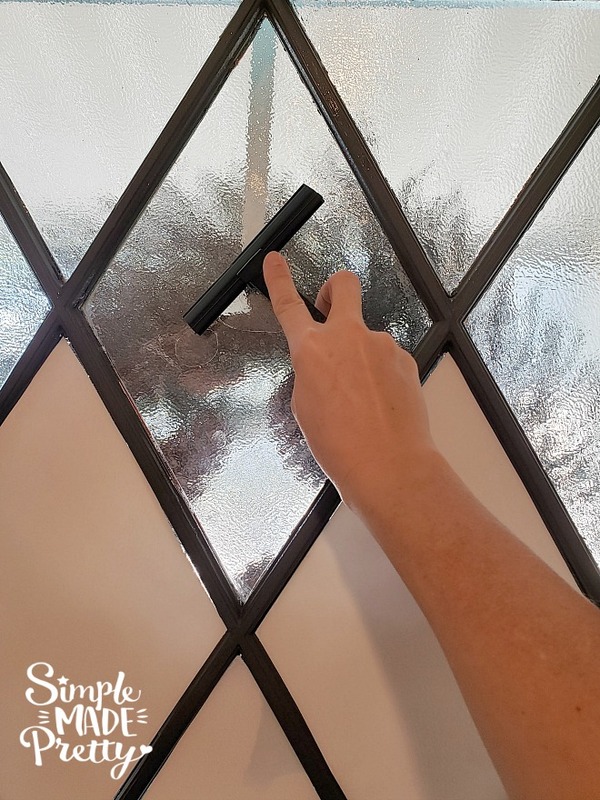 ✅ This is the peel and stick wallpaper I used to quickly update our entryway. 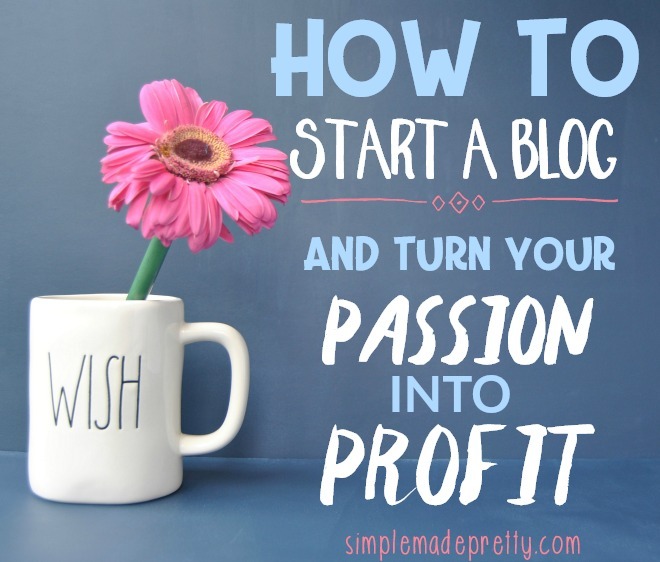 When we purchased our home, it was a blank slate. Every single wall was stark white. The entryway and family room had a chair rail, so I tried to work around that since it is an older home and I knew pulling the chair rail off the wall would require some patching (and I’m lazy, lol). 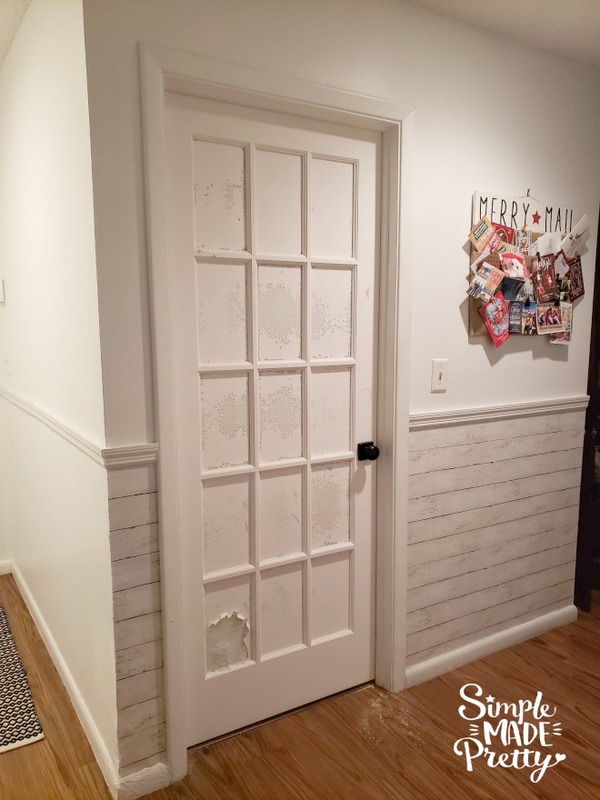 I already had some entryway ideas and knew how I wanted to update the space using paint and peel and stick wallpaper. 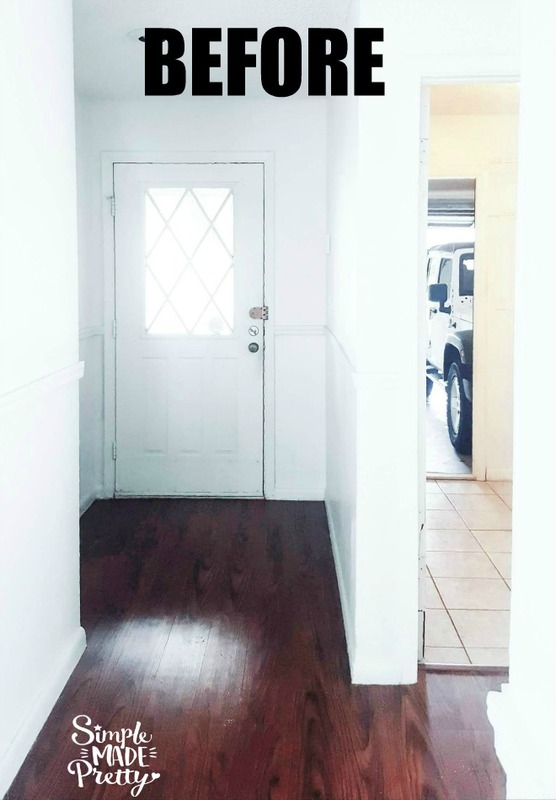 Our first home had a very similar entryway (check out our first home here) and was basically the same entryway if you moved the front door over 1 foot! 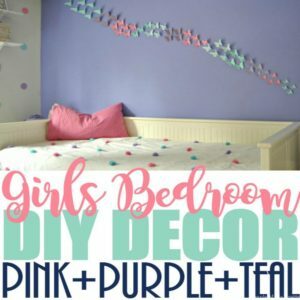 –>>For more ways to transform ANY room with peel and stick wallpaper, check out this post! 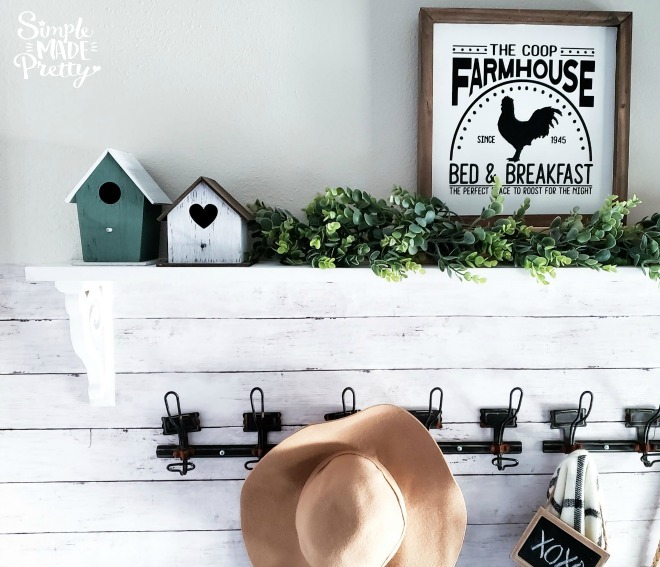 I wanted our entryway decor to have the same farmhouse style as the rest of the house, using the bench with storage and hooks with a shelf (very similar to our first house). I was able to update the space quickly and with little money by applying peel and stick wallpaper and paint. 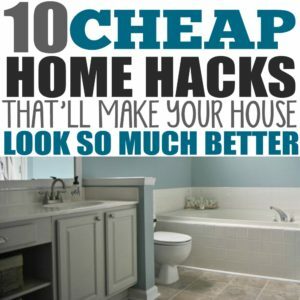 You’d be surprised how easy wallpaper is to apply. 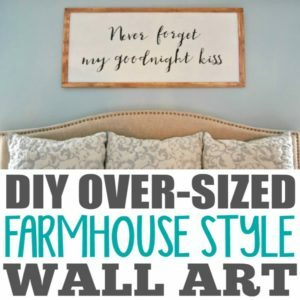 I used this wallpaper, which is meant to be applied with the wood vertical, however, I carefully applied it horizontally (like shiplap) instead. It turned out great! 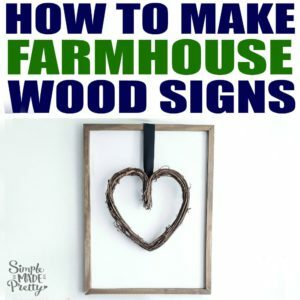 Everyone that comes to our home has to touch the wall because it looks like real wood! 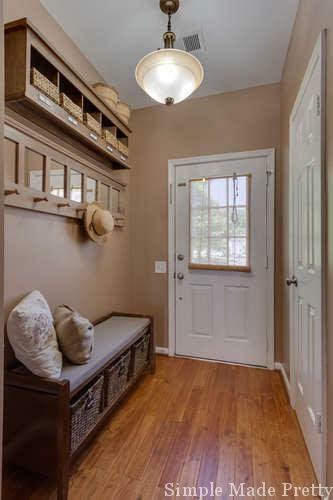 The small, white entryway bench pictured was used in the foyer for our last house. The perfect size and depth storage benches for small entryways are hard to find (this one is old from Home Goods). The entryway storage bench in our first home was really good and had baskets for shoes! We don’t really need a storage bench by the front door though since we primarily use the mudroom/garage entrance. However, we are currently building a bench with storage in our mudroom! The biggest purchase for this update was an interior full-light grid door for the mudroom/laundry room. Actually, we purchased the door as soon as we bought the house and the door was sitting in our garage for 6 months before we installed it and updated the entryway, haha. 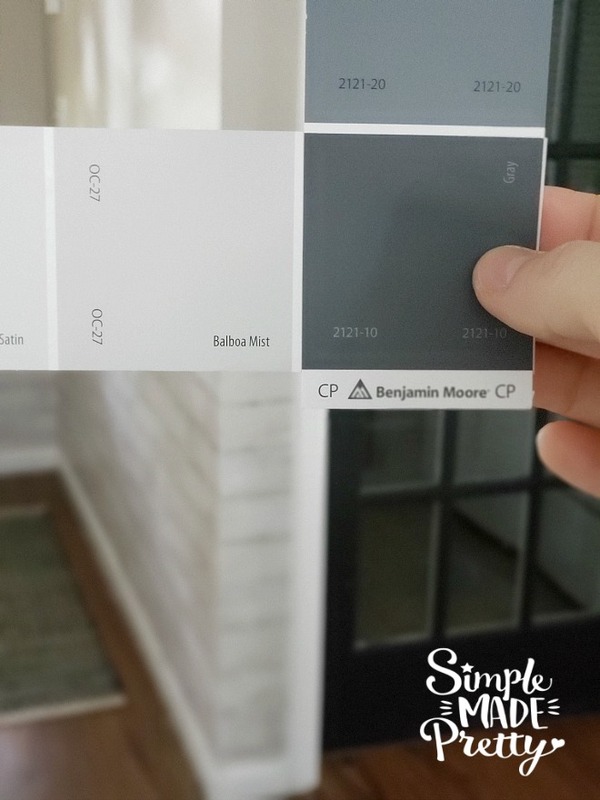 I really wanted to paint the laundry room door and the inside of the front door black and I found that Benjamin Moore’s Gray is almost black but up close it’s a dark charcoal color. It turned out great! 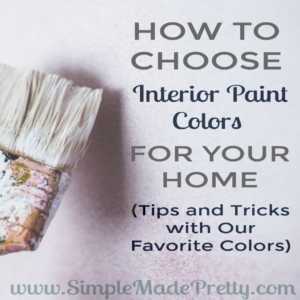 I used a matte finish paint (the can says exterior bc I plan to use this paint on our exterior doors too!). After applying the peel and stick wallpaper, the wall above the chair rail was still stark white and looked too white with the wallpaper so I painted it Benjamin Moore’s Balboa Mist. We ended up removing the chair rail inside the nook at the front door but I didn’t patch the wall because I put wallpaper right over it! I applied the wallpaper a little above eye-level and we installed a shelf above the wallpaper. 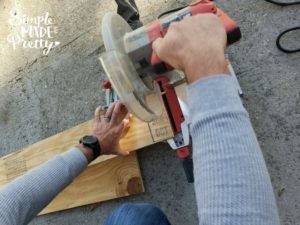 The shelf is a 6″ x 1″ x 5″ piece of scrap wood (we cut to size so the door can open without hitting the shelf) with these wooden corbels. 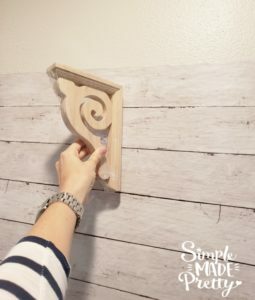 I painted the wooden corbels and the shelf with Chalked Paint in Linen. I also added a privacy film to the glass on our front door. I can’t believe we lived here for 6 months with no privacy on our front door, haha! 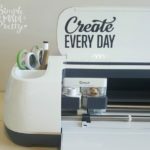 This film was really easy to apply, even though I had to cut the diamond shapes perfectly, it only took a couple hours and we finally had privacy! 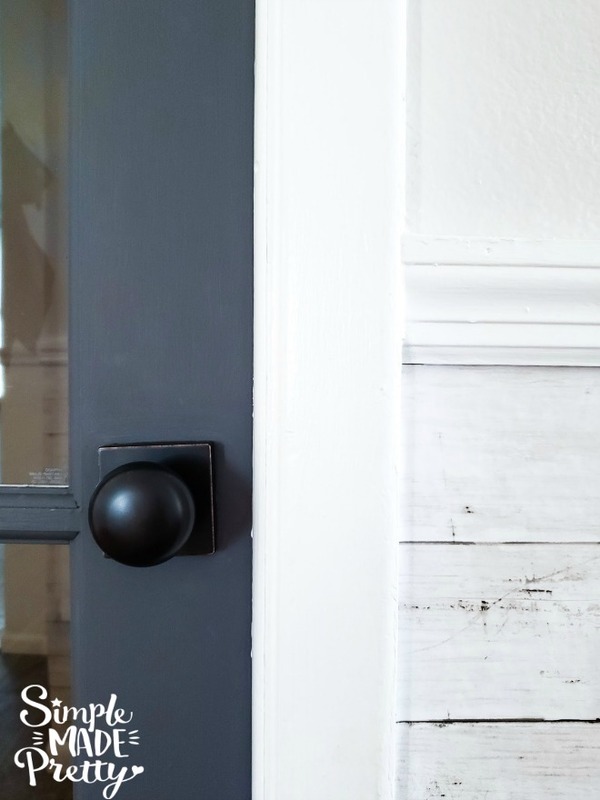 I think painting the entryway door and mudroom door dark gray was a good choice and makes it feel more elegant in our home. 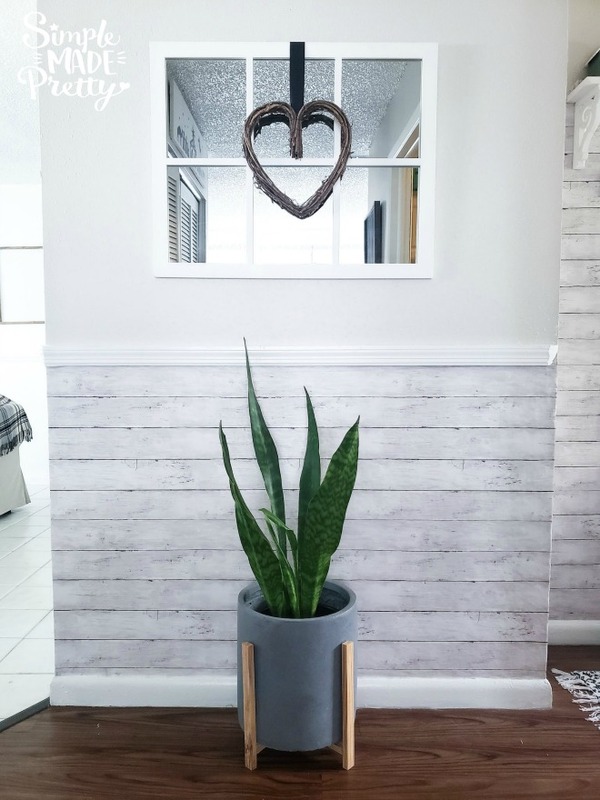 The peel and stick wallpaper was the inspiration for this entryway and it turned out so much better than I expected! 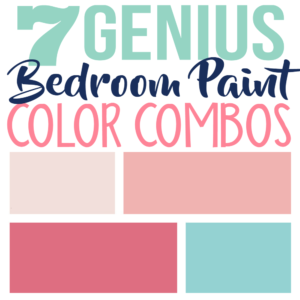 –>>Check out this post with 8 Peel and Stick Wallpaper designs to transform any room in your home! 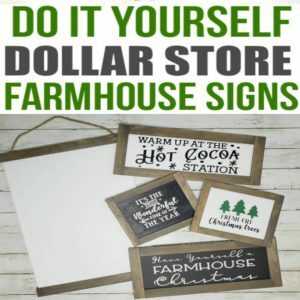 I hope you enjoyed this entryway idea! 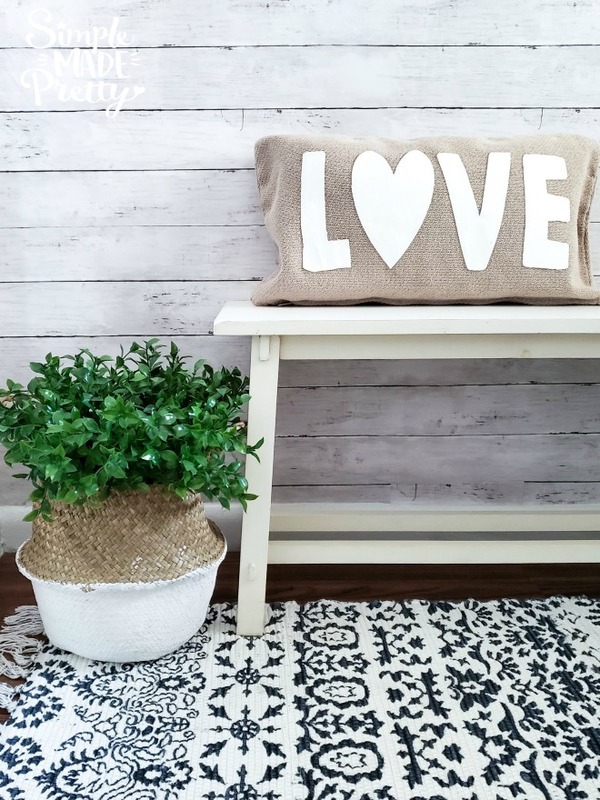 Adding a new entryway rug will quickly update your front door and if you find a small entryway bench, hold onto it! Our small bench can be used as extra seating for dinner guests, at the foot of the bed, and more! 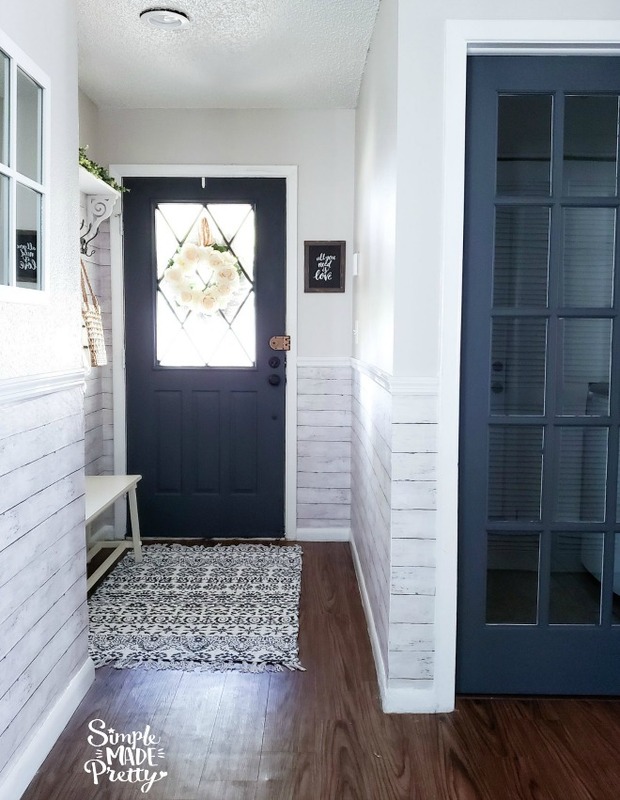 This home entryway idea update is low-cost and a fun way to decorate if you have a small entrance. Don’r forget to grab the wallpaper! 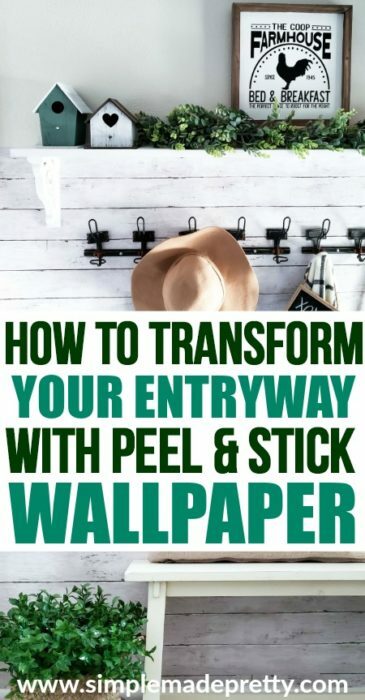 ✅ This is the peel and stick wallpaper I used and will look great in any home!